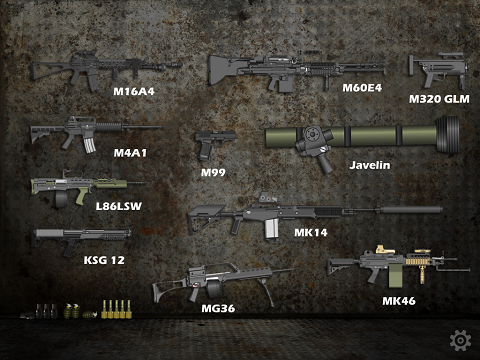 Here come the most comprehensive cool guns, such as AA12, AK47, MP5, SMAW, etc. In Gun HD Free, various kinds of military guns can be seen here, including handguns, rifles, sniper rifles, shotguns and any other fantastic guns. The number of the guns is more than 50. 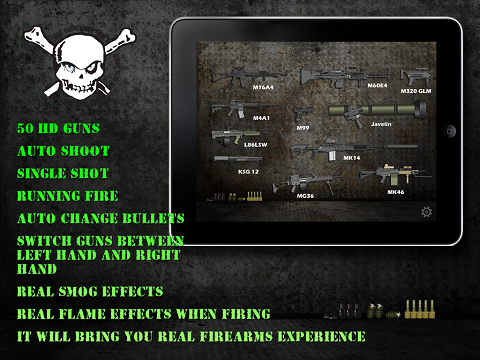 Gun HD Free is an entertainment software for imitating gun shooting and providing the descriptions of these guns. When shooting, there are real effects of smog and flames. What’s more, different guns have different bullets, shooting sounds and cartridge cases. So what, just come and experience by yourself!